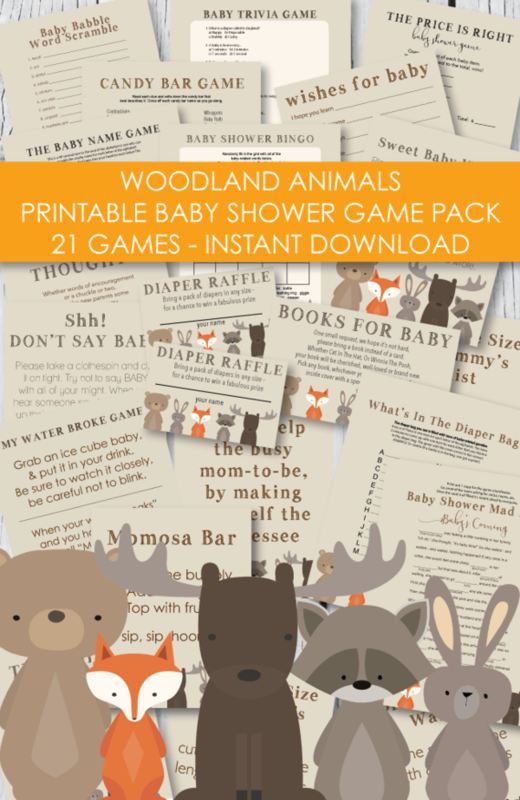 To make your baby shower planning easy, we bundled up our top 3 "best selling" printable baby shower games and are now offering them in a convenient mini pack! We even whipped up some matching favor and gift tags that we are giving to you - for FREE! 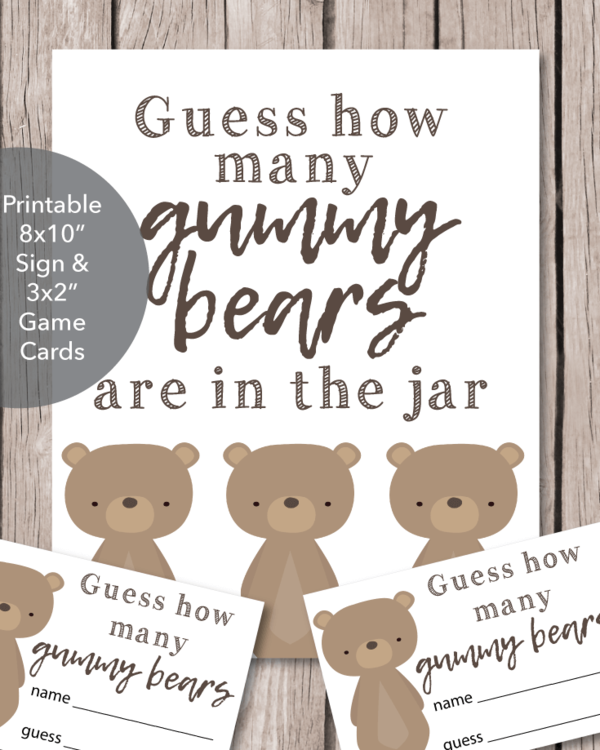 You will receive your baby shower games and free tags as soon as you place your order. Download the files to your computer and keep them forever. Print as many as you need - anytime you need them! Baby Trivia Game - Guests answer fun facts about babies - the one with the most correct, wins a prize! Answer key included. Left Right Baby Shower Game - This is a crazy game where guests will be passing a wrapped present around while you read a story. The story is filled with funny events and every time you say the word right or left, the person holding the gift must pass it. The one left holding the gift at the end of the story gets to keep it! Candy Bar Baby Shower Game - Have everyone match the candy bar names to their corresponding descriptions. Ex: Whoppers = contractions - You can even go an extra step and have all of the candy bars in a gift bag - the player with the most correct answers, wins the bag of candy! Answer key included. Print from home or a local print/copy shop (recommended, for best quality.) All games are 8x10". Adobe Reader is needed to open and print your files. You can get the newest version for free at www.adobe.com/reader. See all of our Baby Shower Theme Packs - in a variety of colors and styles.